At the heart of our Liturgy is Mercy. We say it so often that there’s a Greek saying that makes fun of it. But make no mistake, Mercy is at the heart of our faith. And mercy is precisely what is missing in the world today. Everything comes from mercy. And the parable Jesus teaches today touches at the core of what we call religion and what we call gospel. Religion and gospel are not the same thing. The great theologian Karl Barth said that religion is man’s rising to go to God. But the essence of Christianity, what we can call the gospel, is God’s rising to go to man. Brilliant distinction. God rises to come to us because we need forgiveness, we need mercy. For some people that makes Christianity too negative. I still remember the woman we talked to at the harbor in Ydra two summers ago waiting for our boat back to Athens. How she was repelled by the many crucifixes she saw while traveling in Latin America and other Catholic countries. What perhaps she didn’t understand is that she was repelled not by the crucifixes, but by the Cross! The Cross, that “scandal” (σκάνδαλον, Galatians 5:11, translated as “offense” in most English Bibles) that strikes the heart of human thought; that reminder that we need forgiveness, that we need God to come to us – to be born among us, to walk among us, to be ridiculed and rejected by us, and finally to be crucified by us. Yes, we prefer our own versions of God. No Cross, no forgiveness, no praying for mercy. Those are all a big blow to human ego and self-satisfaction! No, all we need is love. Imagine no religion, sung the same John Lennon. Indeed, imagine no religion, yeah why not? Imagine the gospel instead. But no, we don’t want to imagine gospel. Gospel, evangelion, good news? Why do we need good news? We have fake news! Without mercy and forgiveness what do you have? 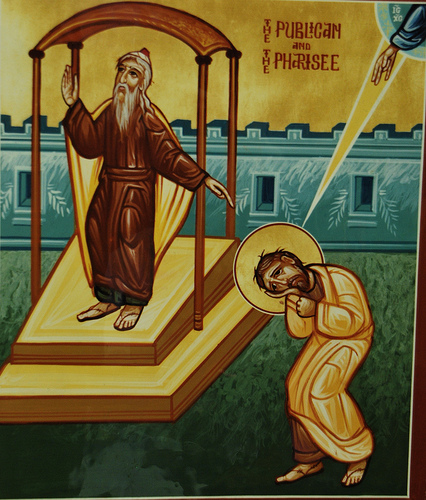 Look at the Pharisee in today’s parable. He had no need of mercy. He was self-sufficient. He had all his religious requirements down pat. All he looked to receive from God was congratulations for being such a good religious man. But was he? His heart was full of hatred and contempt for the publican. He did not thank God for mercy, because he had no need of mercy. I thank you, God, that I am not like other men. You see, without mercy and forgiveness, you can pretty much hate anyone. Especially someone like the publican, who stands in the back and beats his breast asking for God’s mercy. Look how terrible that man is acting. Why is he so negative about himself, dragging himself like that? He must be a terrible sinner. Thank God I’m not like him. God is the creator of all human beings, with their differences, their colors, their races. Be attentive: Every time you draw nearer to your neighbor, you draw nearer to God. Be attentive: Every time you go farther from your neighbor, you go farther from God. Sitting in this building does not make you a Christian. You are a people divided. You argue and hate each other. You gossip and spread lies. Your religion is a lie. If you can’t love your brother or sister whom you see, how can you say that you love God whom you don’t see? You have allowed the Body of Christ to be disgraced. I have tried for months to unite you. I have failed. I am only a man. But there is someone else who can bring you together in true unity. His name is Jesus Christ. He has the power to forgive you. So now I will be quiet and allow him to give you that power. If you will not forgive, then we stay locked in here. If you want, you can kill each other. In that case I’ll provide your funerals gratis. A long silence followed. Finally one man stood up, faced the congregation, bowed his head and said, “I am sorry. I am the worst of all. More than any of you, I need forgiveness.” Father Elias embraced him, and the church immediately became a chaos of embracing and forgiveness. Father Elias had to shout to be heard. “Dear friends, we are not going to wait until next week to celebrate the Resurrection. Let us begin it now. We were dead to each other. 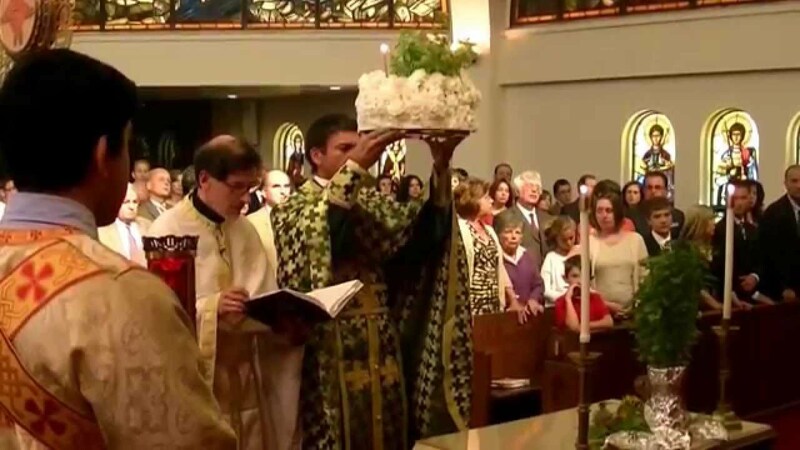 Now we are alive again.” He began to sing the paschal hymn, “Christ is risen from the dead, trampling down death by death, and to those in the tombs bestowing life.” The congregation joined in. Unlocking the door, Father Elias led them into the village streets. The rest of that day, in every home, at every door, there was forgiveness. It was resurrection for the entire village. You who live in the United States, if you are pro-Israel, on behalf of the Palestinian children I call unto you: give further friendship to Israel. They need your friendship. But stop interpreting that friendship as an automatic antipathy against me, the Palestinian who is paying the bill for what others have done against my beloved Jewish brothers and sisters in the Holocaust and Auschwitz and elsewhere. And if you have been enlightened enough to take the side of the Palestinians — oh, bless your hearts — take our sides, because for once you will be on the right side, right? But if taking our side would mean to become one-sided against my Jewish brothers and sisters, back up. We do not need such friendship. We need one more common friend. We do not need one more enemy, for God’s sake. If we believe in the Incarnation of the Son of God, there should be no one on earth in whom we are not prepared to see, in mystery, the presence of Christ. “In mystery” is the key. Do you have room in your life for mystery? Then you have room for mercy. Categories: Global Visions, Sermons | Tags: Elias Chacour, Parable of the Publican and Pharisee | Permalink. God’s love for the world entailed also a love for the nations. The Bible does not shy away from the political overtones of God’s ways. But God’s desire for the nations has always – without exception – been disappointed. Yes, disappointed – from the very beginning. 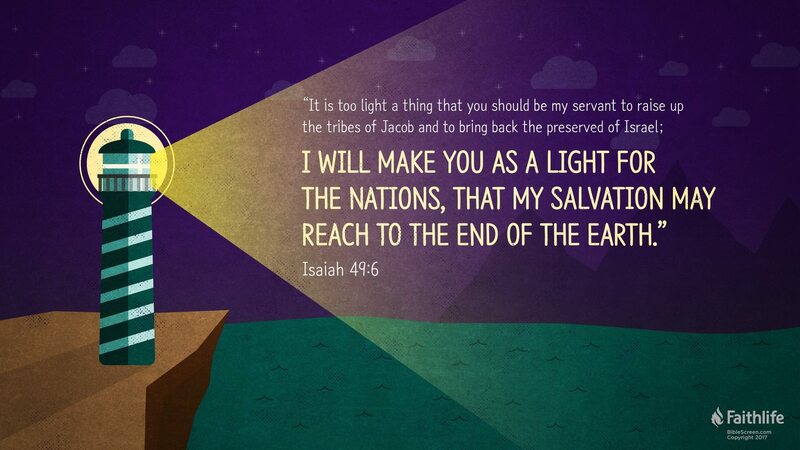 God’s desire was that his people would be “a light for the nations” as the verse from Isaiah boldly proclaims. Then Samuel said to all the house of Israel, “If you are returning to the Lord with all your heart, then put away the foreign gods and the Ashtaroth from among you, and direct your heart to the Lord, and serve him only, and he will deliver you out of the hand of the Philistines.” So Israel put away the Baals and the Ashtaroth, and they served the Lord only. The people wanted a king so they could be like “all the nations.” But God explains to Samuel what is really going on. The people are rejecting God; they don’t want God as their king, they want a regular king, like the other nations have. They want to be like everyone else. But God wants them to know how it will be when kings rule over them and instructs Samuel to warn them how things will be when they are ruled by kings. But the people insisted, they wanted a king. And as it turned out for the next five hundred years, most kings were a disaster – as human “kings” and presidents generally are. God meant his people to be a light to the nations – not to be like the nations. No nation – without any exception – can be a light or a “city on a hill” as some national mythologies like to say. Only people and communities of people can be light to the world, to the nations, and to the nation. Israel failed in its calling because it wanted to be like the nations. The Christian Church has failed because it chose to become an apparatus of nations and kings. There remains only the hope for people and communities of people to accept the radical calling of God to be LIGHT. The calling is a choice for every one of us and for every community of faith. Do we continue the tradition of cozying up to nations and their leaders, or do we strike out as men and women of resistance to what every one else cheers on? God does not force anyone. But God does lament when his own people choose to be like every one else. God is not like the kings of nations. God is not like anyone else! His leadership in our lives is unique and uniquely transformative. Where can you start today not to be like every one else? Categories: Bible Reflections, Global Visions | Tags: Isaiah 49:6, light for nations, nations and kings, Samuel | Permalink. What is the use of all the preaching, baptising, confirming, bell-ringing, and organ-playing, of all the religious moods and modes, the counsels of ‘applied religion’….the efforts to enliven church singing, the unspeakably tame and stupid monthly church papers, and whatever else may belong to the equipment of modern ecclesiasticism? Will something different eventuate from all this in our relation to the righteousness of God?… Are we not rather hoping by our very activity to conceal in the most subtle way the fact that the critical event that ought to happen has not yet done so and probably never will? Not exactly a feel-good passage for someone like me who is involved in “preaching…religious moods and modes, applied religion…monthly church papers” and other forms of “modern ecclesiasticism”! Am I and the people with me waiting for the “critical event that ought to happen” but “probably never will?” What is the “critical event”? We make a veritable uproar with our morality and culture and religion. But we may presently be brought to silence, and with that will begin our true redemption. 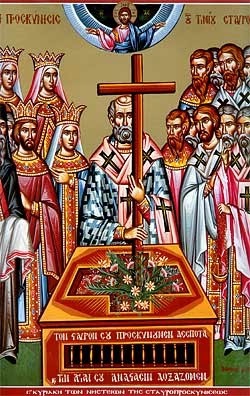 In the reflection I posted early this morning about the Orthodox celebration of the Elevation of the Cross I ended by proposing a different form to the ritual of the elevation, a form that would shift the focus of the church from inward-looking to outward-looking. The Cross of Jesus Christ – of Jesus Christ, not something other that any of us might call “my cross”! – is the most perfect expression of God’s righteousness. And it is the Cross that we should present to the world, not the “uproar” of “our morality and culture and religion”! And the Cross does’t need an uproar or words and slogans. The Cross asks us to be silent, empty, in order for the Cross to reveal Christ to the world. 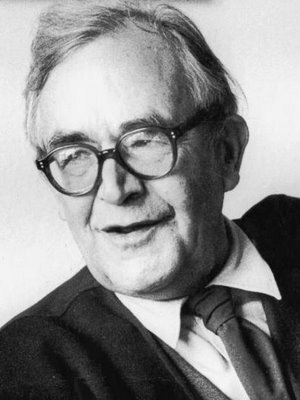 Barth wrote this essay over a hundred years ago, in the midst of the First World War. We today are not in the midst of a world war, but we are in a war nevertheless. Once again, I call upon Karl Barth from his European vantage point of 1915. Perhaps things are not much different. Only the guns of war have changed. There seem to be no surer means of rescuing us from the alarm cry of conscience than religion and Christianity. Religion gives us the chance, beside and above the vexations of business, politics, and private and social life, to celebrate solemn hours of devotion – to take flight to Christianity as to an eternally green island in the grey sea of the everyday. There comes over us a wonderful sense of safety and security from the unrighteousness whose might we everywhere feel. It is a wonderful illusion, if we can comfort ourselves with it, that in our Europe – in the midst of capitalism, prostitution, the housing problem, alcoholism, tax evasion and militarism – the church’s preaching, the church’s morality, and the ‘religious life’ go their uninterrupted way…A wonderful illusion, but an illusion, a self-deception! In the midst of the unrighteousness Barth names – and how contemporary they sound a hundred years later – the church takes comfort inside our walls, surrounded by our holy icons, repeating age-old rituals (while not even probing their spiritual meaning). As our pews empty, we take comfort that the ‘faithful’ still come. Meanwhile, hordes are leaving for other religious fixes. And then there are the ones in our midst who resent the changes going on in the church: they resent that the church today is not the church of their fathers and mothers! I hear that from men and women in their 40s and 50s. How do we reach men and women in their 40s and 50s who want nothing else than the church to be the church they grew up in, when the church was little more than an ethnic club? 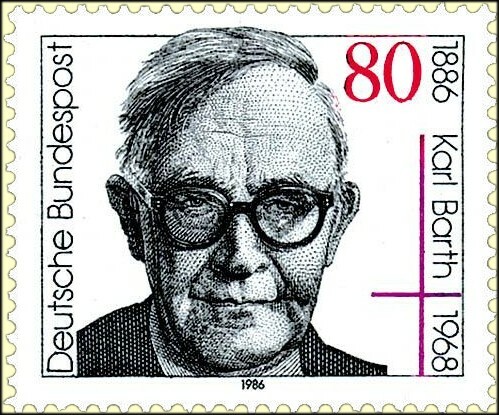 I imagine that the words of Karl Barth are completely incomprehensible to people who live in an imaginary past, when America was GREAT, when the church was GREAT! The Orthodox Church relies on its traditions and liturgical wealth to ensure its existence and durability. We baptise infants, we trust that the sacraments and sanctifying acts of the church will plant the work of the Holy Spirit in the lives of our people. And I fully believe that we are right in making these claims. I believe that God acts in the lives of people through the sacraments and the various sanctifying acts of the church. God acts through the sermons that are preached with the sacraments. God acts through the community bonds that Christian fellowship engenders. But only if we allow the righteousness of God to be revealed; only when we don’t see our own righteousness as the measure of faith; only when we allow ourselves to be silent so God can speak. We will not fill our pews with smarter programs and entertaining music and feel-good sermons. Mega churches do those things and pack them in by the thousands every Sunday. Good for them. 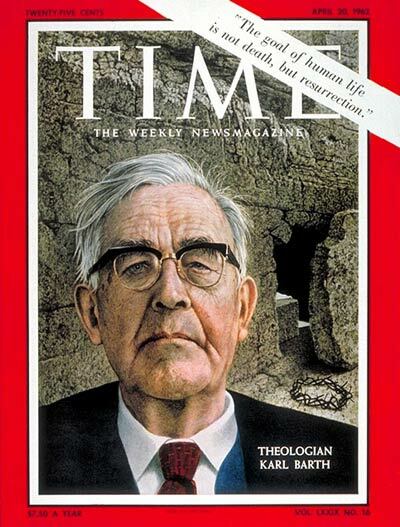 Though they claim to be ‘evangelical’, Karl Barth would probably have a hard time recognising them as Christian. Programs, ‘relevance’ and ingenious efforts at Christian entertainment were prevalent a century ago when he wrote his essay “The Righteousness of God”, and they have been brought to new levels of ingenuity in our technological age. But they are not the mission of the church. Relevance is NOT the mission of the church! Relevance to what? Facebook, short attention spans, social media, materialism, the politics of race and division, our therapeutic fixations? No, the church represents – or should represent – the presence of God’s righteousness, which is why I proposed that the Cross could be more appropriately elevated outward on Sept. 14th, so it could face outward from the church. The Cross of Jesus Christ is our emblem and we should live as the Cross teaches us. Then and only then can the church escape the dead ends of relevance and power. Let us face the world with the Cross of Christ – not as a trinket around our necks, but as the force that shows us how to live as the righteousness of God in the world. Is the Elevation of the Cross merely a ritual? Or does it bring us closer to the “critical event”? In the midst of the old world of war and money and death…Lights of God rise in the darkness, and powers of God become real in weakness. Real love, real sincerity, real progress become possible; morality and culture, state and nation, even religion and the church now become possible – now for the first time! One is taken with the vision of an immortality or even of a future life here on earth in which the righteous will of God breaks forth, prevails, and is done as it is in heaven. There is the “critical event” so far as I can make out without reading the entire essay. There is the “critical event” that has not happened yet and probably never will in Barth’s own words: When God’s righteousness prevails “and is done as it is in heaven”! But can we at least aim to be lights of God in the darkness? Can we rise from our lethargy and allow the Cross and the Holy Spirit to guide our walk through life, this life? I don’t own a copy of Barth’s essay “The Righteousness of God”. All the above passages are as quoted in the book “Church as Moral Community – Karl Barth’s Vision of Christian Life, 1915-1922” by Michael D. O’Neil, published in 2013 by the Paternoster Press in England. Categories: Global Visions, Radical Christian Thoughts | Tags: Elevation of the Cross, God's righteousness, Karl Barth | Permalink. O Lord, save your people and bless your inheritance. Grant vict’ries to the kings over the barbarians, and by your Cross guard your commonwealth (politeuma). O Lord, save your people and bless your inheritance. Grant vict’ries to the faithful over adversities (or, obstacles), and by your Cross guard your commonwealth (or, your people). But once you move past the imperial context of this great feast, you are confronted by some strong theology. Consider the following hymn from the Vespers of the feast. It is sung/chanted, yet reads like a theological treatise. Come, all you nations, let us worship the blessed tree, through which has come the eternal vindication. For he who deceived our forefather Adam by means of a tree is himself ensnared by the Cross. And he falls headlong tumbling down, who formerly held the royal master-work in tyranny. By the blood of God, the venom of the serpent is washed away, and the curse of the just sentence is lifted by the unjust sentence on the Righteous One who was condemned. For it was necessary to remedy the tree by a tree, and to put an end to the passions suffered by the condemned at the free by the Passion of the Lord. Glory to you O Christ King; glory to the awesome plan for our salvation, by which you saved everyone, as you are good and the lover of humankind. Note the references to the Cross as “tree”. This is classic terminology and serves to contrast the tree of the Cross to the tree in Eden which was the instrument for the fall of the first human beings. It is this contrast that the hymn articulates and celebrates. The high-point of the feast observance occurs at the end of Matins. The Great Doxology is sung and at the concluding portion a slow procession of the Cross takes place. 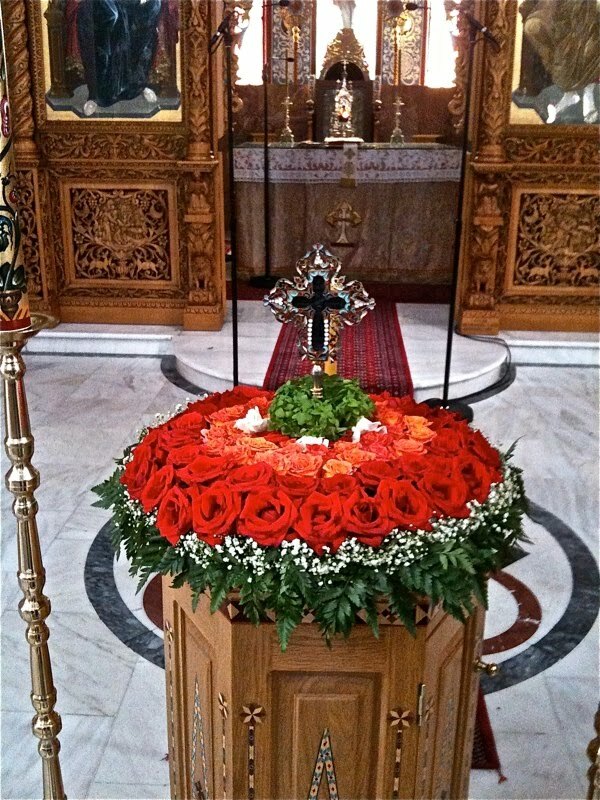 The Cross is decorated with basil in the Greek tradition. (Flowers are also used: in combination with basil, or alone in parts of the world where fresh basil is not common.) Basil is basilikos in Greek, “of the king”, so in one sense it reconnects us with the imperial history of the feast. But the true King is, of course, Jesus Christ – so Jesus is the true reference of the basil. 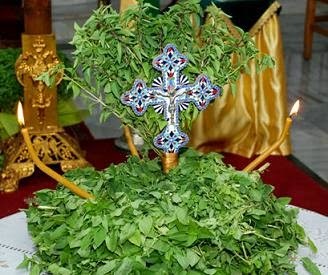 The Cross of King Jesus is embedded in basil and carried in a solemn procession to the centre of the church where a unique ritual takes place. The procession ends at a small table that has been set up in the centre of the church in front of the gathered congregation. The priest stands in front of this table, intones a short prayer and then slowly lowers the cross toward the floor while holding it above his head and then raises it back up again above his head – all this while the choir or the chanters repeat the words “Kyrie Eleison.” Then the priest moves to stand facing the right side of the table, and the lowering and elevation of the Cross is repeated. Then the priest stands facing the rear side of the table, then the left side, and finally back to the front. So a total five times the ritual of lowering and elevating the Cross takes place. The symbolism is clear. The table represents the world, the inhabited earth (oecumene). The Cross is raised on each of the four points of the compass to bless and protect the entire world. The tree of the Cross recreates the entire world; it reverses the fall which happened at the tree of Eden. The entire world becomes a restored Eden. Of course the vision is eschatological, but in the Byzantine Empire the message was also one of hegemonic power. It struck me last night as I celebrated the feast in our church that we need a different symbolism to complement the traditional understanding. Instead of the Cross being raised while facing the table, why not face outward from the table at the four points of the compass? Instead of representing the world being blessed/protected by the Cross, the table represents the Church! And the Church faces outward, proclaiming the Cross of Jesus Christ to the world! The subtleties of Orthodox and Byzantine symbolism are lost on most Orthodox Christians today, and it is incumbent on clergy and lay teachers to open the treasure chest that we have inherited. 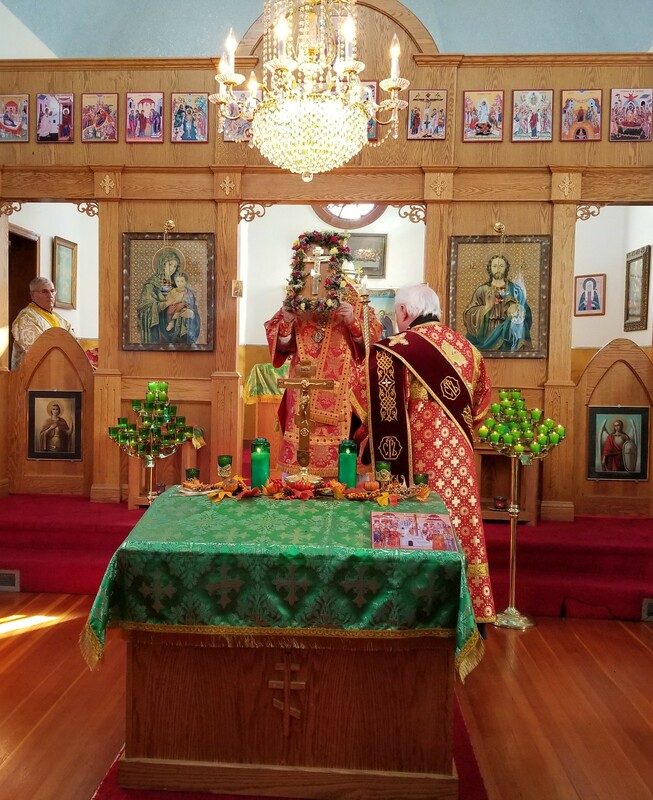 Why boast of the “Treasures of Orthodoxy” if they remain meaningless rituals that don’t inspire and motivate the Church to spread the gospel of the Cross of Jesus Christ? And isn’t the visual message of looking outward instead of inward a needed corrective to the Orthodox tendency to look inward and live in the past? Categories: Global Visions | Tags: Elevation of the Cross | Permalink. Viet Thanh Nguyen came to the United States in 1975 as a refugee from Vietnam. He was interviewed last night by Christiane Amanpour on PBS. They discussed the current policy of the United States to separate children from their parents if they enter the US “illegally”. 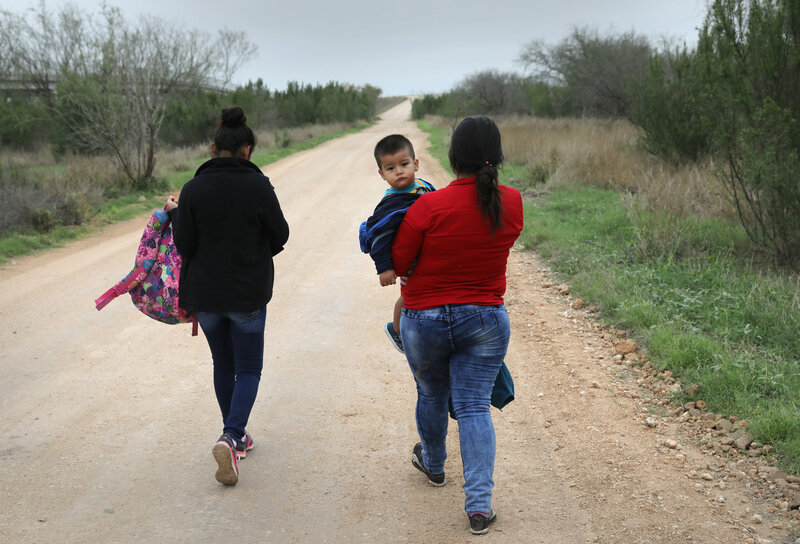 After playing a clip of Attorney General Jeff Sessions defending the policy – even in the wake of revelations that the US government has lost track of about 1,500 such children who were separated from their parents. Mr. Nguyen commented that separating children from their parents is “inhumane and immoral. So it’s a moral question that I don’t think we should lose sight of. And I think too many people in this country have lost sight of that as they stick to this rhetoric of legality.” That’s precisely the missing point, I thought to myself: No one is talking about the morality of the policy! And that is very much the problem with much of what transpires today in political debates. White House Chief of Staff, John Kelly, spoke out against immigrants and refugees who he feels will not assimilate to US society because of their low education and rural background. But as Nguyen went on to comment, his own mother was precisely the kind of person Kelly describes – born poor in a rural area, who had 6th-grade education! Yet, she was a heroic woman who worked hard and produced children who went on to Harvard. John Kelly’s own grandparents were Italian and Irish working-class labourers. And that has been the history of immigration in this country. Every wave of new immigrants has been greeted initially with suspicion and prejudice until after a generation or two. 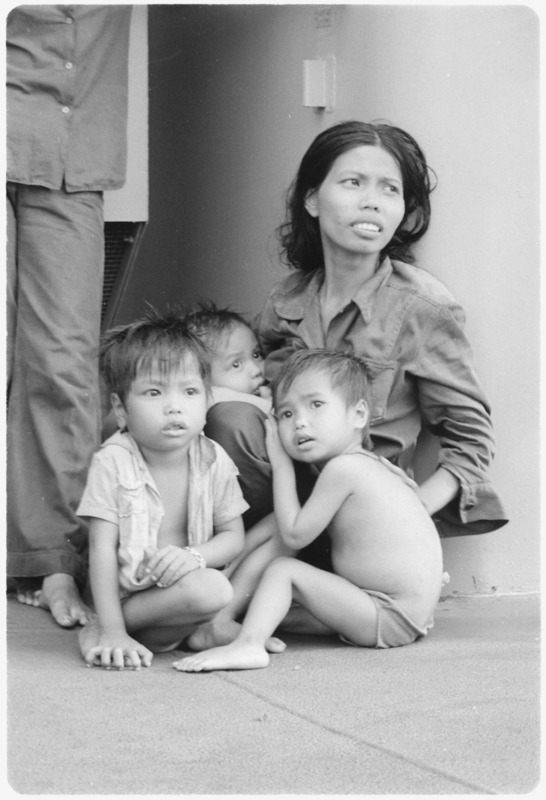 The “boat people” who left Vietnam as refugees were in hindsight considered the “good” immigrants. Should the current refugees from the south be considered not “good”? Nguyen reminded Amanpour that the “oceanic refugees” (his substitute label for the “boat people”) had a 50% survival rate. And only 36% of the American people wanted to accept these refugees – even then! So perhaps not much has changed after all. People feared that the “boat people” would bring all sorts of problems and contamination to this country. 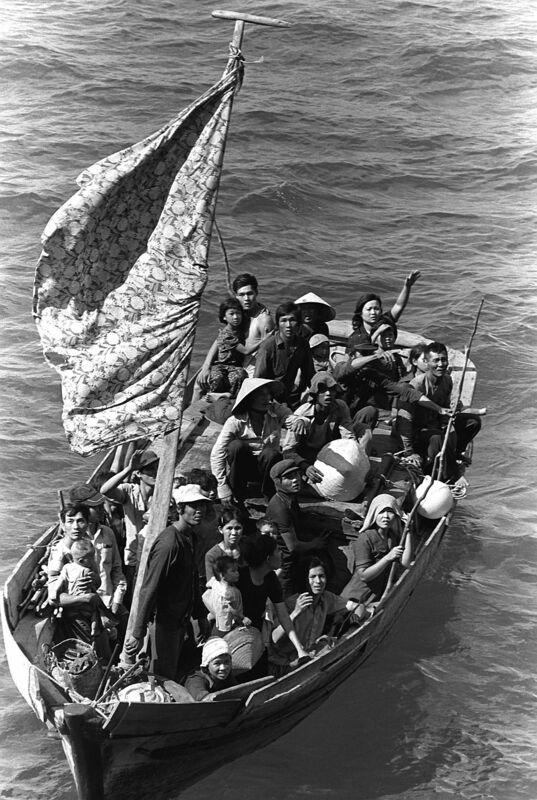 But 40 years later, most Americans have forgotten the coming of the “boat people.” Even many Vietnamese themselves now oppose accepting new immigrants and refugees! With a smile on his face, Nguyen vouches for the fact that many of the Vietnamese refugees that he grew up with in California were pretty bad refugees, doing things like welfare cheating and scams and “much, much worse”! But they overcame. His point is not that immigrants or refugees are perfect, but given the opportunity they tend to succeed. We all have a story; we’re all storytellers, Nguyen reminded me and other viewers of his interview; though most of us will never win a Pulitzer Prize like Nguyen did. But when Donald Trump says “Make America Great Again” he is telling a story in four words that is very seductive and powerful to many people, and they repeat that story, over dinner and in other settings. So those who believe in a story about an inclusive America, a welcoming America, an America that is about all kinds of people – it’s important to tell this other story, and make America love again! On that note, Mr. Nguyen ended his brief but illuminating interview with Christiane Amanpour. I’m an immigrant myself – and not once, but twice! I emigrated to Canada in 1963, at the age of 10. And I became an immigrant to the US in 1983. After studying theology in New York (1980-83), I was offered a job by the Greek community in Astoria, New York, in 1983 to teach Chemistry and Physics at the St. Demetrios High School. I subsequently got married and that sealed my decision to stay in the United States. My experiences with immigration in both Canada and the US have been completely positive. I never experienced prejudice or suspicion in either country. I received undergraduate and post-graduate education at Canada’s top three universities: McGill in Montréal, University of Toronto, and University of British Columbia in Vancouver. My two brothers had very little proclivity for academic work and preferred to have a good time. But both eventually settled to work for their own and for the family’s improvement. There were, to be sure, members of my extended clan who engaged in petty welfare fraud and took advantage of Canada’s very generous health and social support programs in ways that didn’t sit well with me. And there were one or two cousins who jumped ship in Halifax and entered the country illegally. But they became law-abiding productive members of Canadian society and eventually moved to the United States where they became successful businessmen. So certainly we were not all perfect immigrants, and I can relate a bit to what Mr. Nguyen was sharing about his own life among other refugees in California. My family emigrated from Greece for economic reasons. We fled poverty to come to a country that offered opportunities to get ahead, to receive quality education, and live a mostly comfortable, but not luxurious, life. We were not political or war refugees. Like Nguyen, I also am deeply saddened when I see fellow Greeks speak against immigrants today and support inhumane treatment of refugees and undocumented immigrants. How easily many of us forget where we came from, and why we came. When I see people who benefitted from the generosity of the United States – and even engaged in welfare fraud! – now promote anti-immigrant vitriol, it makes me angry. And I wonder whether such people have ever known the love of God in a personal way. People hear talk about the love of God in church gatherings, in Liturgy; they pay lip service to this love of God when it works to their own benefit. But they cannot see how this loving God might also be loving toward others not like us. And how this loving God may just be telling us to love others who are not like us. I don’t know what religion Viet Thanh Nguyen subscribes to, if any. Did he become a Christian after his emigration to the United States? Is he a Buddhist, or an atheist? I don’t know. But hearing him raise the moral question today in the interview with Amanpour really hit the nail on the head. When “legality” takes precedence over morality, it is a very troubling matter for conscientious Christians. This is a moral question! And it disturbs me when I see millions of allegedly “evangelical” (that is, gospel-believing) Christians promote hatred toward people who are seeking a chance at a better life. One of the greatest theologians the United States has produced was Reinhold Niebuhr (1892-1971). In 1932 he published what became his most famous book, Moral Man and Immoral Society: A Study in Ethics and Politics, in which he claimed that that people are more likely to sin as members of groups than as individuals. This was a very controversial idea at the time, though the imminent rise of Nazi fascism quickly put a stamp of reality on the book’s thesis. And unfortunately, what is happening today in many countries, including or especially our own, is clear proof of the group dynamics of much immoral and hateful attitudes. People who are pleasant, supportive and welcoming in their inter-personal behaviors can quickly become something else when immersing themselves in “fake news” or when they are surrounded by cheering true believers at political rallies. The Judeo-Christian scriptures are clear; the behaviour and teachings of Jesus are clear! Perhaps I will give voice to some of the scriptures in a later post, but for now this present post has grown long enough. My point has been to raise the moral question. Though Nguyen and I have partly and necessarily addressed the present political situation, the attitudes that ignore the moral question extend beyond partisan politics and religion. Nguyen’s point that we are all storytellers is the challenge that hit me personally. What story am I writing in this moment of world history? What is the story we are all creating as a country, as a planetary culture? For how long will refugees and immigrants continue to be a moral problem? P.S. As I finished this post and prepared to publish it, a new episode in the PBS series American Experience came on. The title of the episode: “The Chinese Exclusion Act” – about an 1882 law aimed against Chinese coming to the United States. Worth searching on-demand or online. There were voices of dissent, but not enough to prevent Congress passing the law. 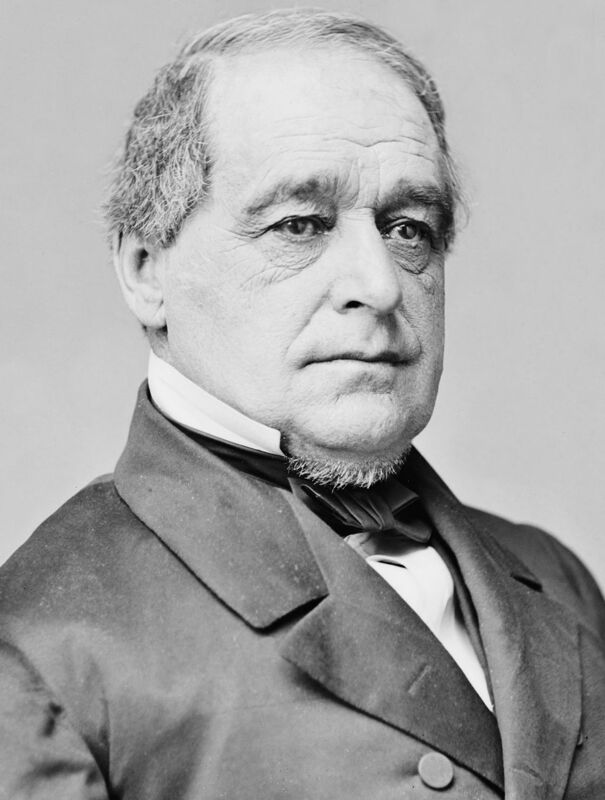 Standout among the dissenters was Senator Hannibal Hamlin of Maine, who twenty years earlier had been Abraham Lincoln’s first vice-president, and was now chairman of the Senate Foreign Relations Committee. On the floor of the Senate he denounced the Chinese Exclusion Actt: “I’m opposed to this. It violates fundamental American principles…I leave my vote, the last legacy to my children, that they may esteem it the brightest act of my life.” “This is a person with enormous moral authority,” the program narrator added. That is what we need today, persons with enormous moral authority. 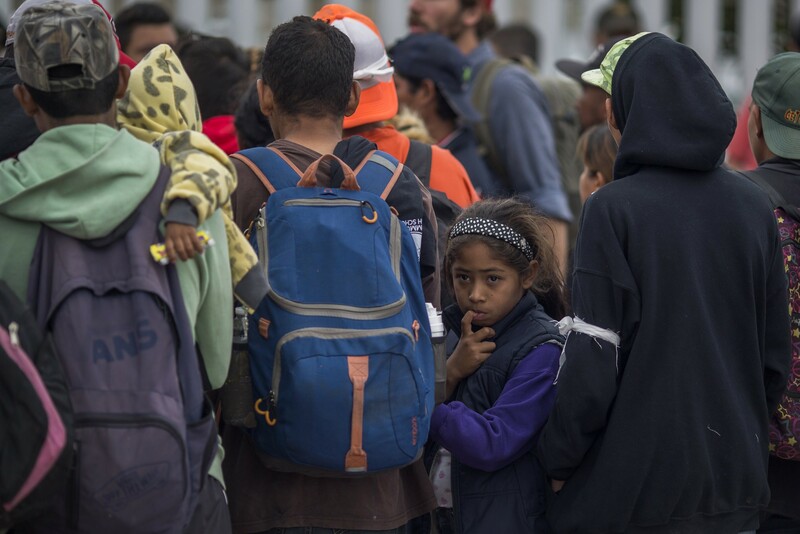 Categories: Global Visions, In the news | Tags: anti-immigrant policies, boat people, Christiane Amanpour, immigration, refugees, Reinhold Niebuhr, Viet Thanh Nguyen | Permalink.